Last year – we meant, a few days back, we showed you pictures of fireplaces that was decorated for the Christmas season. This time of year, we will be showing you pictures of how families usually decorate their mantels when holidays are not around. Mantels are the top part of the fireplace where we usually place our clocks, maybe family pictures, some vases or candles or even plants. 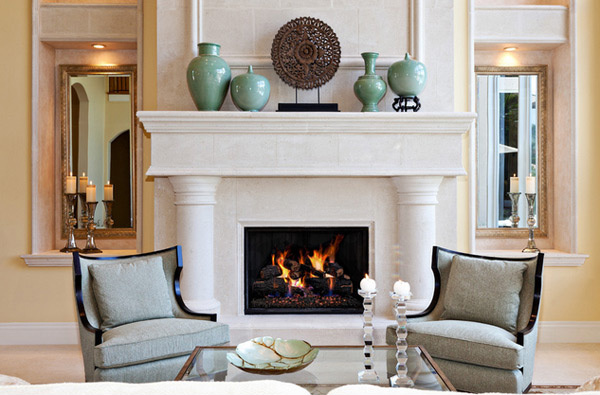 The following pictures we have here for you ranges from the traditional designs of fireplaces to the contemporary and even something quite modern of their kind. They vary from different colors, materials and aura. It is even amusing how our mantels can look all the same and it is just really the fireplace that looks different or unusual. 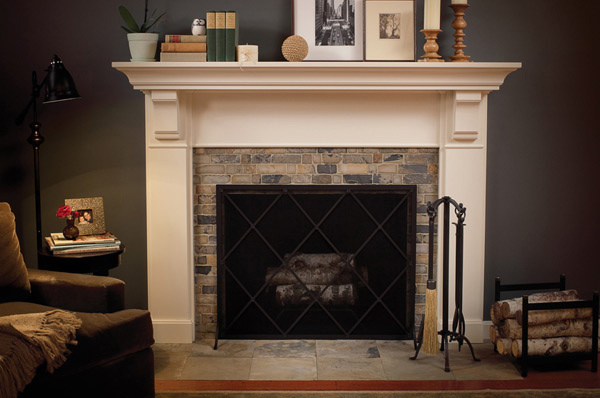 So much for that, let us have a quick view of the fireplaces’ mantels we have here for you. A traditional living space with colorful items all around. 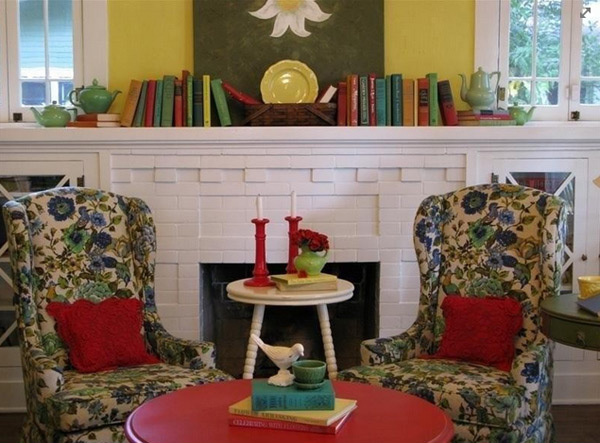 Floral high back chairs paired with red pillows is a great foreground for the white mantel. 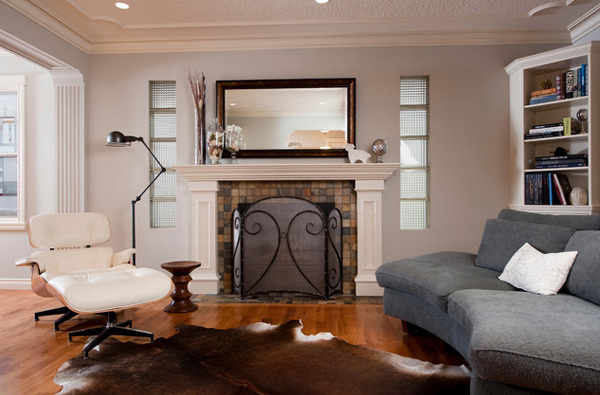 The white mantle is a classic example that looks great on an all-neutral living room. The drop light is focused on the art piece in the mantel beside vases. The classic white mantle – above it is pictures of elephants which is said to be a lucky charm for some people. 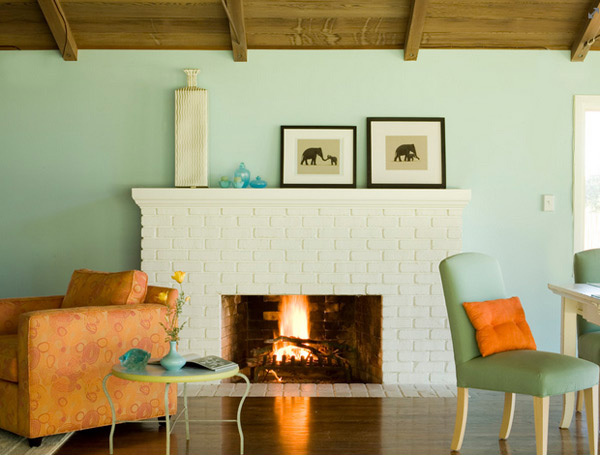 The pastel blue background works well with this mantel. This is one modular fireplace that anyone can purchase and get for their homes! 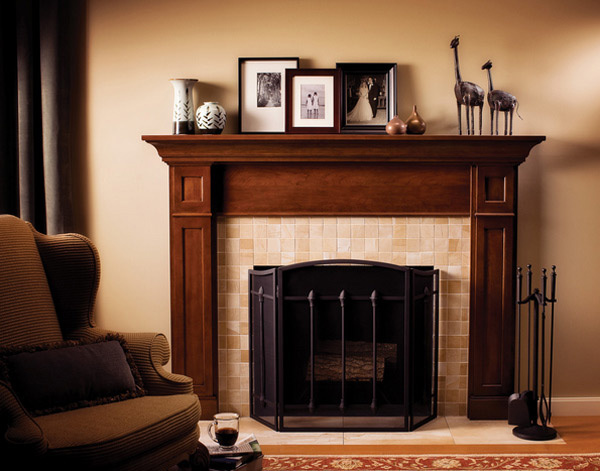 Dark wood is another classic piece like the white fireplace. 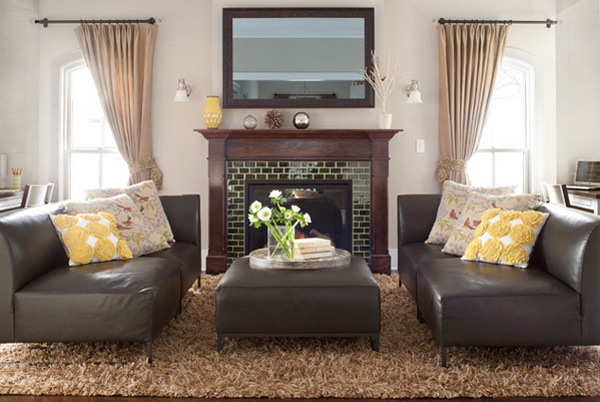 A mantel usually has frames, vases and even candles on top of it. An elaborate fireplace mantel – most likely made of marble. It sure matches the ornate decoration of this beautiful home. A huge living room with a modern designed fireplace and a mantel which is pretty much something anyone would like to have. Another modular fireplace sample from DuraSupreme. 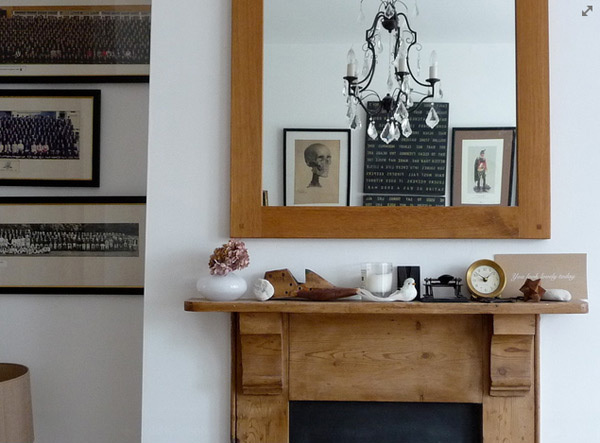 This time, the mantel is beige and sure is a beauty beneath the gray walls. It contrasts each other well. In this living room, we are able to see that the mantel pretty much is of the same color and material as the wall behind it. We can imagine that the entire living room has the same material too. Pretty interesting move. 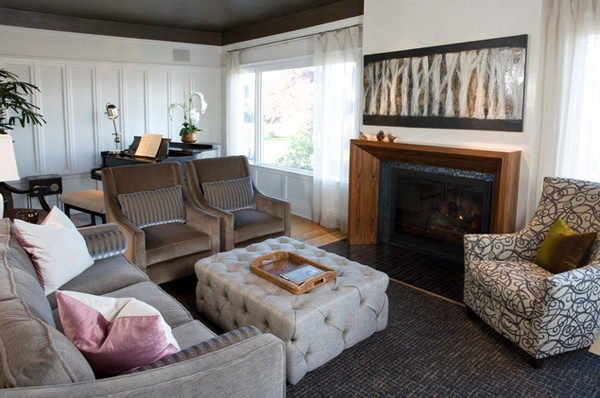 This is a classy example of a living room with the all-dark couches and dark wood fireplace and mantel. 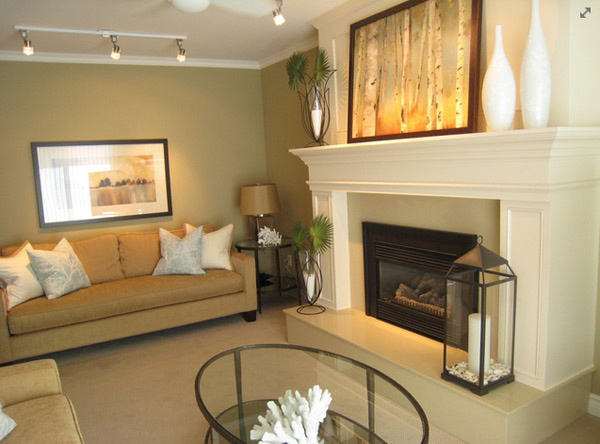 Really elegant and with putting a mirror above the mantel, the room is magnified! A beautiful custom-made fireplace. Pretty much a modern example that we cannot really see anywhere. Above the mantel, a pretty painting beautifies the area. 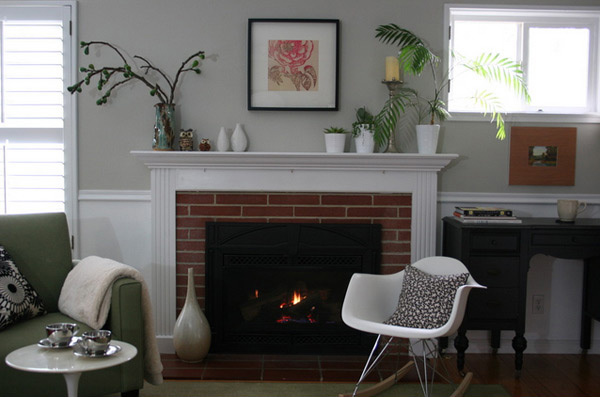 Classic fireplace made of bricks with white mantel work. Adding live plants is a plus to add more natural things in the house. This is a small mantel, but it seems very useful. With the vase, candle, figurines, and clock – we can see that it is functional. 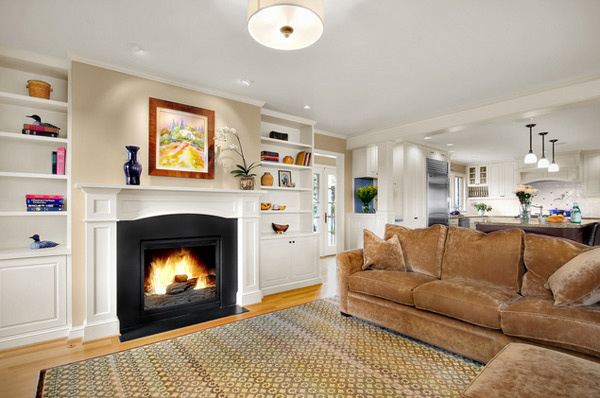 A super homey living room with large cushions and a great fireplace with a simple hard wood mantel that has joints that is like a picture frame. 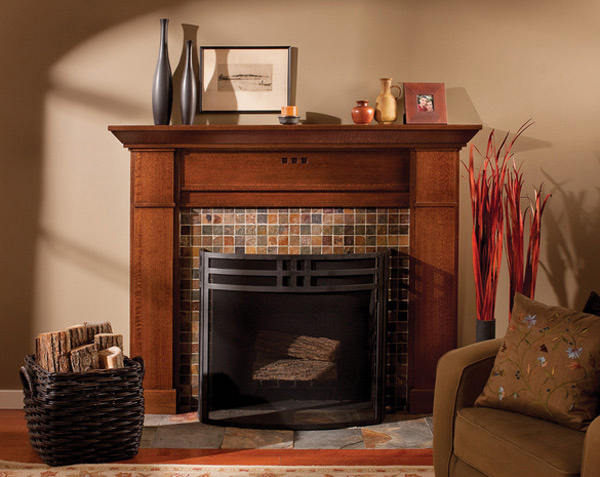 A beautiful fireplace with a contrasting color for a mantel that sure is a beauty as well. Frames, figurines and vases are must-haves for this one! One pretty living room made cozy by the fireplace – which by the way also makes the room beautiful along with the pretty mantel. There you have it – the 15 pictures as to how our fellow home-owners and designers decorate their mantels when in fact it is not the holidays. Some designs are really plain to the eyes, and some are quite elaborate and ornate, depending on how modern, contemporary or traditional a specific home is. In our next few articles, we will be showing you custom made fireplaces that you sure will be interested and maybe curious about too! 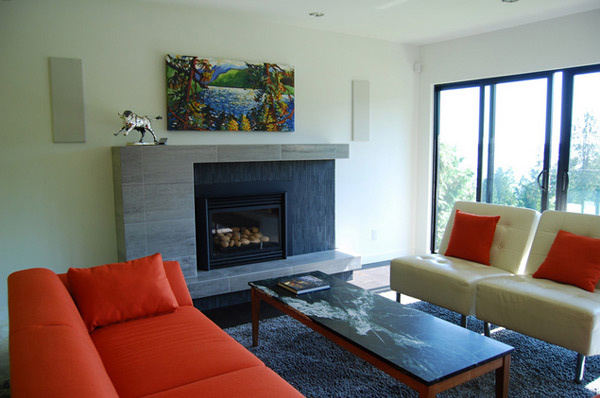 Check out these Modern Fireplace Designs if modern style is your bet. More to come in Home Design Lover this 2013!